WINDOW WASHERS LISTENS ALWAYS TO OUR CUSTOMERS, SO WE HAVE COMPILED THIS PAGE FOR YOUR MOST FREQUENTLY ASKED QUESTIONS. please remember we are only a phone call away should you need to ask more. HOW DO WE KNOW YOU HAVE CLEANED THE WINDOWS? We always leave a slip/card for you, this only happens once we have completed the work. We cover many areas please use the areas covered link above and this will tell you all the areas that we cover. More areas are added weekly, so if yours is not already listed send us an email and we will find a window cleaner for you free of charge. We ask for payment to be sent within 48 hours of cleaning, if you are away call us when you get back to let us know payment is going to be late, if there is any problem please call us (we dont bite) if payment is made later than 21 days you will be charged a £2 late payment fee. Payments that continue on to be late will have services suspended till arrears are paid in full and the next clean is paid in advance. We maintain window cleaning in light rain to maintain reliable and regular work, if the weather is against us and is heavy rain or very windy, we will not work, as this would be unsafe. 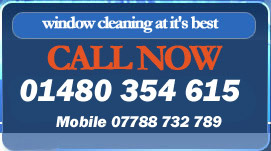 MY WINDOW CLEANERS HAS STOPPED COMING? This normally only happens if you do not pay us, or you make regular late payments, but you will be told before we stop cleaning. Sometimes human error can occur please contact us straight away if your window cleaner has not been and we will look straight into it. WILL MY PRICE FOR WINDOW CLEANING CLEANING GO UP? Your price unfortunately will increase every year as do the costs to us, with on average normally about 50 pence. WHAT HAPPENS IF I'M NOT HAPPY WITH THE JOB? We will without a doubt come back free of charge to fix the problem. WHAT WILL IT COSTS ME? Every house or premises is different so without seeing it we cannot say, call us we can then ask the right questions and give you an estimated price. WHAT TO ADVERTISE IN THIS SECTION?